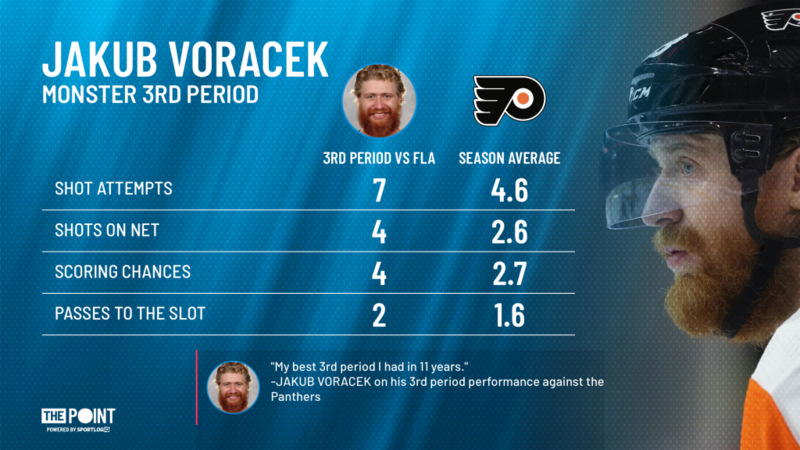 Point Shot: Jakub Voracek's Best 3rd Period in 11 Years - The Point Data-driven hockey storytelling that gets right to the point. 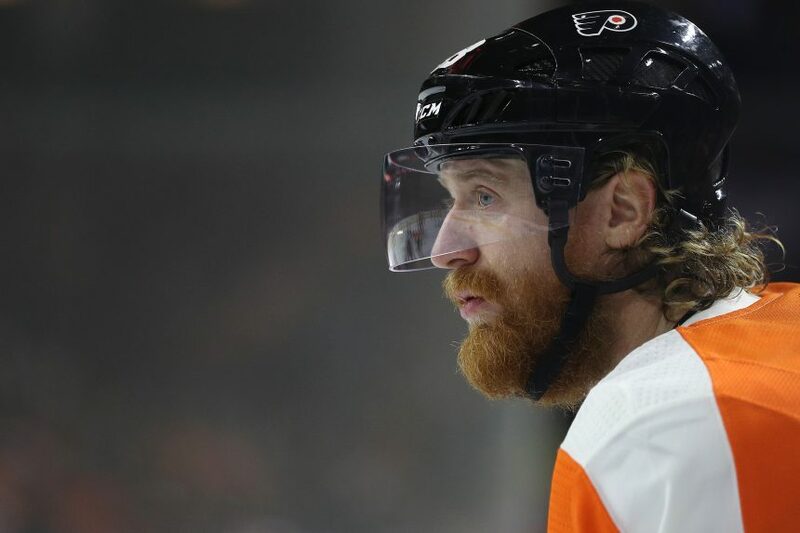 The Flyers weren’t able to comeback in the 3rd period against the Panthers last it wasn’t from a lack of effort or execution from Jakub Voracek. In fact, Voracek said it was the best 3rd period performance he’s had in eleven years! He must have a pretty good memory but what we can tell you for sure is his performance in that period outdid his season-long averages in a number of key areas. Voracek basically crammed over a full game’s worth of offense into 7:58 of crunch time minutes. He found the back of the net once, but ultimately the team couldn’t complete the comeback as Roberto Luongo stopped 16 shots in the 3rd, including 5 from the inner slot, snapping Philly’s three-game win streak.